YourShirts was founded in 2009, by Grant Catchpole. We serve a wide range of businesses, organisations and individuals, offering customers the ability to create custom products using many different printing processes.This includes embroidery, screen printing, digital transfer printing and the latest technology that we are very proud of; DTG (direct to garment) printing. We have an online design service for our most popular garments, where you can select your chosen item and then upload your images or logos to create a visual representation of the finished product. Our intuitive designer is the best product customization tool on the market. Integrated with Corel Draw design software the designer supports many applications all on one convenient page. We offer over 4,000 stock clipart images and templates for creating your perfect product. You can also add text with over 100 fonts and effects to take your product from concept to reality. 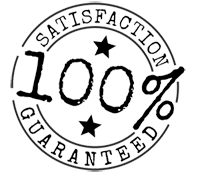 This can either be ordered online where a speedy service is guaranteed, Alternatively there is the option to request a quote for larger orders, based on the information you've supplied. (We also have an online catalogue showing our full range of products). We know how important it is to have a customer relationship. We are always happy to discuss your printing requirements on the phone, by e-mail or in person. Good customer communication will always ensure outstanding results. When you have an idea, we listen and work with you to create your product the way you want it done. Our goal is to always deliver with the highest of standards, using quality machinery and materials to ensure a happy and successful outcome for the customer. YourShirts aim is to always stay up to date with the technology involved in the garment industry by regularly attending trade shows and thoroughly researching the industry to always keep on top of the game. Our long term goal is to grow YourShirts into a nationwide business with units across the UK and supplying a trustworthy, well-established, honest brand to businesses, organisations and the general public. Our plan is to reinvest the profits back in the company to purchase more production equipment which creates better control of quality and turnaround. What sets us apart from other garment printers is that we are able to offer an additional service ‘drop shipping’ to all our customers. This is a print on demand, e-commerce solution, which for further information about, please follow the link. I’ve always had a passion for the attention to detail and effort that is put into design and as a result of this I decided to start my own business in garment printing. Prior to this I was fully trained and working as a vehicle body repair technician for a company specialising in high-standard and hand-crafted specific body repairs for the trade and retail sector. Over the thirteen years of doing this job I also often did custom paintwork such as; replica race bikes for motor racing teams. I am a keen motor sports fan and often attend sporting events across the country, where over the years I have collected an array of merchandise with designs that have caught my eye. I am also an avid music lover, and likewise, from concerts I have been to, I have a collection of t-shirts and other designed merchandise. I have always had a fascination of how design on garments is created. In other words, the printing process from start to finish. Please examine your designs carefully and correct any mistakes prior to placing your order. In an effort to keep costs down and pass substantial savings along to our customers, YourShirts not proof documents created by its customers prior to processing.